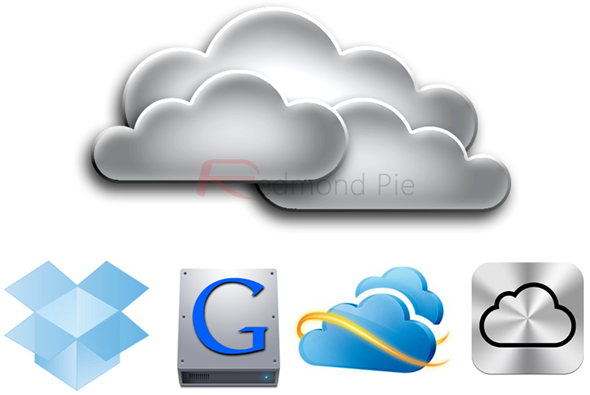 SkyDrive vs iCloud vs Dropbox: Which Is The Best Cloud Storage / Backup Service That You Should Use? To the cloud, file storage service! That certainly seems to be the mantra as of late. And the competition amongst companies who provide such services is definitely heating up. Dropbox, a popular choice for quite some time (its name is practically the first thing that comes to mind when thinking about cloud storage) is being threatened by SkyDrive, which really stepped up its game today. iCloud also provides an unbeatable seamless backup/syncing experience for users of iOS and Mac. 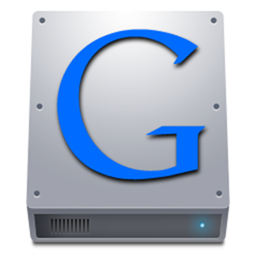 On top of this, Google wants to get their foot in the door of this market with Google Drive. So, with three – soon four – major players all competing with one another, who should you go with? Before I state my pick, here’s a rundown of what each service has to offer. Dropbox is a pretty notorious cloud startup known for its ease-of-use and functionality. While only offering 2GB of storage space, Dropbox is the most cross-platform cloud service of the bunch – it has clients for Windows, OS X, and Linux, as well as iOS (iPad and iPhone), Android, and even Blackberry – and it makes collaboration quite simple. It also has a good set of file recovering features; a one-month history of your work is kept, you can undo changes to files and even undelete them. Finally, there’s also Dropbox Teams, which allows you to get 1,000GB or more storage for a more costly rate. Helpful for businesses especially who have need for such cloud storage and collaboration tools. SkyDrive has been around for quite some time now, and while it bested Dropbox in free storage space – offering 25GB – it lacked in features. Until today at least; Microsoft has just pushed out a pretty major update to the cloud storage service. Now, SkyDrive desktop clients have been released for Windows and OS X, and the existing iOS and Windows Phone SkyDrive apps have received an update as well. You can even remotely browse and snag the files on your PC quickly and securely from anywhere in the world that you have an Internet connection. Now, as Microsoft determined that most SkyDrive users only require 7GB or less of storage, they have actually knocked down the amount of free storage from 25GB to 7GB, unless you’re an older user of the service, then you can keep your 25GB for free. Nevertheless, 7GB is still 3.5x more than the storage offered by Dropbox. If you do need additional storage, however, it is cheaper than Dropbox. To get 100GB of storage on Dropbox, it will cost you $199 a year (or $19.99 a month). SkyDrive, on the other hand, charges only $50 a year. Enough said. If you’re an Apple user, then using iCloud is definitely a no-brainer. It allows you to seamlessly backup your iOS devices to the cloud and sync photos and documents across all devices. And, coming with 5GB of free storage to boot, with a 50GB storage upgrade – which bumps your total storage capacity to 55GB – available for $100, you can definitely obtain legroom if needed. However, iCloud offers far more features tailored towards Apple users (@me.com email address, Find My iPhone/Mac) than features for cloud storage if that makes sense, so I’d use it along with another service such as Dropbox or SkyDrive. Now, this particular service is still rumored, so thus, nothing officially has been revealed. But I did want to touch on it to make everyone aware that it’s in the pipeline and likely will be released very soon. All that rumors have suggested so far is that it will offer 5GB of storage for free (still more than Dropbox), and will tie in nicely with Google’s ecosystem. I think that tying this in with Android phones as far as file syncing and backup would be awesome, to provide users with iCloud-like functionality. So, what should you select? For most of you, I think SkyDrive is awesome. Their pricing is hard to beat, and most of the functionality that anyone will need has been added in the latest update. However, they still lack an Android client, and probably never will have a BlackBerry client. If you are a user of either, and require access to the cloud service of your choice on the device, you’ll have to go with Dropbox. I’m sure that for Android users, Google is also cooking up a good solution with Google Drive. But, if you want unbeatably priced storage with good functionality behind it, and are situated with either Microsoft or Apple ecosystem-wise, SkyDrive is my top pick. I’m not ruling out iCloud, of course; I think you should use it as well. But, as far as cross-platform file storage and syncing is concerned, SkyDrive is unbeatable. I suggest using both services, if you’re an Apple user like me.